We hope everyone is safe, warm and has power. It has been a tough week! 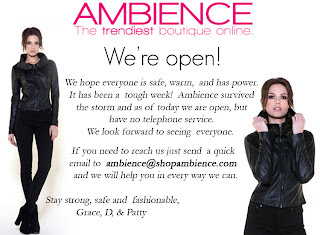 Ambience survived the storm and as of today we are open, but have no telephone service. If you need to reach us just send a quick email to ambience@shopambience.com and we will help you in every way we can.